Maybe a little complication to reset the printer this is understandably the most current from canon, it may cause many things one of which reply you are experiencing. Turn on the Printer, an error pops up the 1700s. Before resetting the printer must be in a State of SERVICE MODE. Do I read the next step. Turn off the printer by pressing the POWER. Do not unplug the power cable. Press and hold the STOP/RESET button followed by pressing the POWER button. So the two buttons depressed position. Off button STOP/RESET but not off POWER button. In the circumstances the POWER button still depressed, press the STOP/RESET button as much as 5 times. Then release the two buttons simultaneously, then the printer is in Service Mode. (make sure the lights are not lit alram). Your computer will detect new hardware. Disregard it. Prepare 2 sheets of paper. Clear ink counter in the menu select the main black then set. In the menu select the ink absorber counter main colour then set. 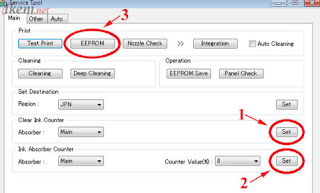 Click the printer's eeprom, will print 1 sheet. 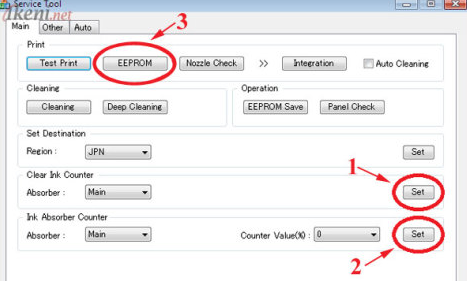 Select auto Menu click start until the process is complete and test print 1 sheet. Turn off your Printer and then life right Again and your Printer is ready to use. Good luck and Hopefully success.